Someone is not telling the truth. Which ironically is the only truth we know in the ongoing dispute between the Samoa Rugby Union (S.R.U.) and World Rugby. Who that is, you can be the judge. But just when we thought that things had died down, one more wave of controversy arrived yesterday in a statement from World Rugby you have probably now read on the front page and page 11 of your newspaper. To make sense of that statement, we need to go back a few weeks ago to an interview where Chairman of S.R.U. and Prime Minister Tuilaepa Sa’ilele Malielegaoi finally admitted that the Union was insolvent. 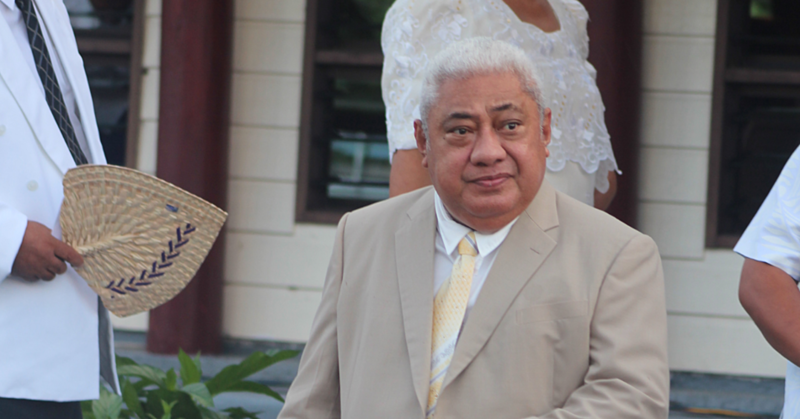 “We are bankrupt,” he told the Samoa Observer in his office. At the time, the admission took most people by surprise, especially coming from the Chairman who had up until that point repeatedly downplayed the Union’s financial woes. That aside, the timing could not have been better. You see the admission was made a day before a nationwide Radiothon organised by the Union, apparently to pay for the Manu Samoa players insurance and the salary of Head Coach, Fuimaono Titimaea Tafua. During the same interview, Tuilaepa opened up about the controversy surrounding the coach’s appointment. Tuilaepa then launched his first attack on World Rugby. Back to the Radiothon, Tuilaepa implored everyone to give a little. And they did. More than $400,000 was pledged in less than 12 hours. The biggest donation was $160,000 from a Chinese construction company building Samoa’s multi-million-tala airport at Faleolo. It was a fantastic success in as far as the Union is concerned. You would be smiling too if you made that much money in 10 hours. Now fast-forward to today, World Rugby obviously doesn’t want to be the bad guys in this fiasco. So yesterday, they issued a strong statement disputing everything Prime Minister Tuilaepa and the S.R.U. have been saying. “World Rugby can clarify that the union is not bankrupt and would also like to clarify the inaccurate statements made by the S.R.U. Chairman relating to the selection of the national men’s 15s team coach,” the statement reads. “Recent statements made by the chairman of the S.R.U. questioning World Rugby’s funding package are inaccurate.” You are welcomed to read the full statement and tell us what you think. In the meantime, when we put this statement back to the Samoa Rugby Union Chief Executive Officer, Faleomavaega Vincent Fepulea’i yesterday, well he was adamant in standing by P.M. Tuilaepa’s comments. “Technically the Samoa Rugby Union is bankrupt,” he said. 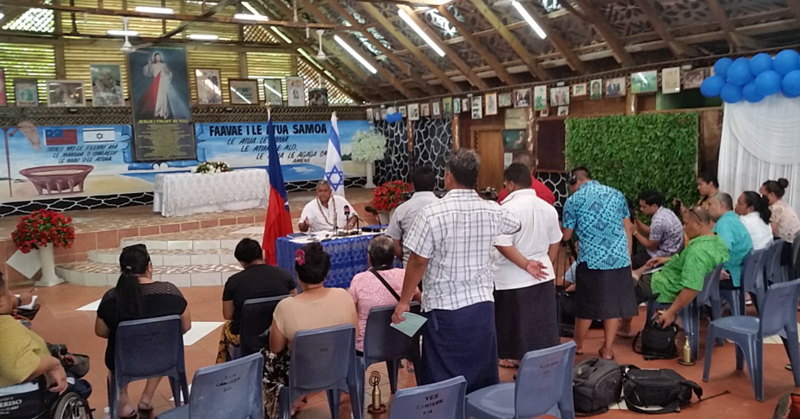 “What is happening now is that if we are demanded by the people whom the Union owes money, then we are bankrupt because the Samoa Rugby Union does not have a security. Insolvency? No security? Technically bankrupt? Aren’t these fabulous terms ladies and gentlemen to be associated with beautiful Samoa today? This saga should be turned into a movie. It sure sounds like a fantastic lot of fun up at the ‘technically bankrupt’ Samoa Rugby Union at Tuana’imato. So stay tuned for the next episode!